QuickBooks Hosting (also known as QuickBooks Cloud or Hosted QuickBooks) refers to the installation of QuickBooks Desktop version on the network server hosted over the internet to enable access via a web browser from any location. Simply put, data and files in a Hosted QuickBooks can be accessed by authenticated user from anywhere, anytime without installing it on a local machine. QuickBooks hosting provides user best of both the worlds, the robustness of the desktop version as well as accessibility of the online version. Licensed copies of QuickBooks are installed on the server of service provider. – Connectivity between the end-user device and the server is accomplished using Remote Desktop Protocol (RDP) that can be configured to login as a desired user. The user can access and work on QuickBooks via a web browser (like Chrome, IE, Firefox, etc.) or RDP shortcut. Rest of the UI, features, and other functionalities remain similar to QB Desktop. All the changes made on hosted QuickBooks save automatically and will appear to all authorized users. Dedicated Hosting: Different users are connected directly to the server on which QuickBooks is installed. Peer-to-Peer Hosting: This hosting mode is usually adopted for on-premise hosting. Here one user hosts the application and data to provide the access to other users on the network. Alternate Hosting: One user (say main user) is connected to the hosting server over the Internet. Rest of the users connect to the main user to access the application on the local network. Read about these QuickBooks cloud hosting modes in detail here. Most of the leading hosting providers are able to host all versions of QuickBooks Desktop including QuickBooks Pro, Premier, Enterprise, and Accountant. Different country-specific editions released from QuickBooks 2005 through QuickBooks 2017 are compatible with server setups of hosting providers. How to Select a QuickBooks Cloud Hosting Provider? Almost every leading cloud hosting service provider can offer hosting for QuickBooks Desktop applications. However, considering the idiosyncrasies of the accounting applications, it is better to go with those who command expertise in the field. Intuit, the makers of QuickBooks, recommend opting for the authorized hosting providers. Intuit Authorized Commercial Partners are screened to ensure that user data is safe and delivered services maintain high quality. Here are some important factors that one can consider before finalizing the cloud hosting provider for QuickBooks Desktop. Yes, you can easily save a backup copy of your QB data files on your desktop. However, saving a local copy of file and editing it, may cause an inconsistency with those located on a central remote server. Do I need to setup my own network to avail QuickBooks cloud? No. The Internet is the only network you’ll need. Can I try QuickBooks Hosting for free? Yes. With Ace Cloud Hosting, you can avail a 10-days free trial without any obligation. How is QuickBooks Online different from QuickBooks Hosting? QuickBooks Online is completely cloud-based accounting application from Intuit. It is different from QuickBooks Desktop in terms of features, UI, and other functionalities. Since QuickBooks cloud Hosting maintains the same functionalities of QB Desktop on cloud, it is a different product from QuickBooks Online. How does my Microsoft Excel and Other Office software work with QuickBooks Cloud Hosting? Integration of Microsoft Excel and other office software with QuickBooks on the cloud remains similar to that of the desktop solution. Export and import of data from one application to another follow the similar practice on the cloud. The user can even opt for hosting of office applications to leverage on benefits of the cloud. Can I run third-party applications/ add-ons with Hosted QuickBooks? Yes. Third party applications and add-ons can run with the hosted version of QuickBooks desktop. With the flexibility of resources on server over cloud, the integration with add-ons is even easier and more productive. You may like to check the top rated QuickBooks add-ons. 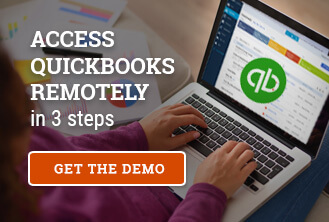 Where can I learn about the latest in QuickBooks Cloud technology? QuickBooks 2018 vs 2017 vs 2016: What’s The Difference? QuickBooks 2016 vs. 2015: What’s the Difference? QuickBooks Hosting vs QuickBooks Online: Which Is the Right Fit for You?